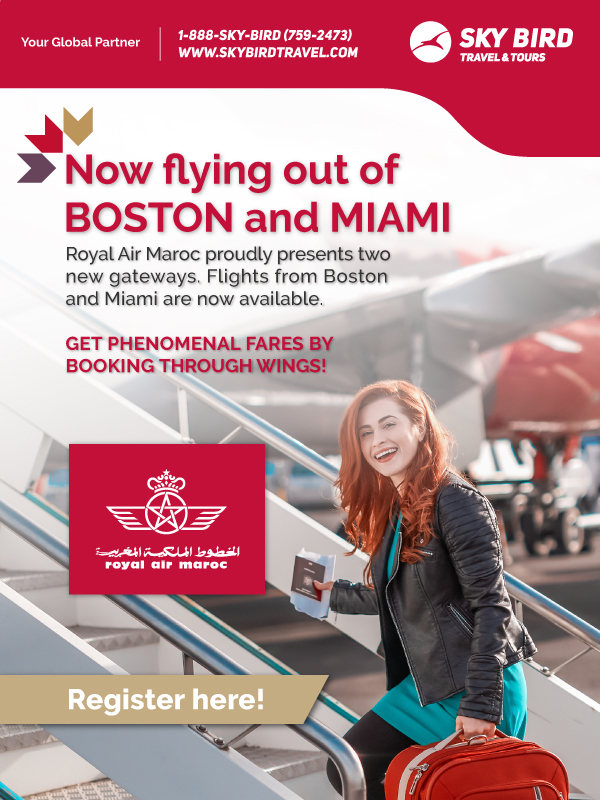 Royal Air Maroc proudly presents two new gateways. Flights from Boston and Miami are now available. Get phenomenal fares by booking through WINGS!